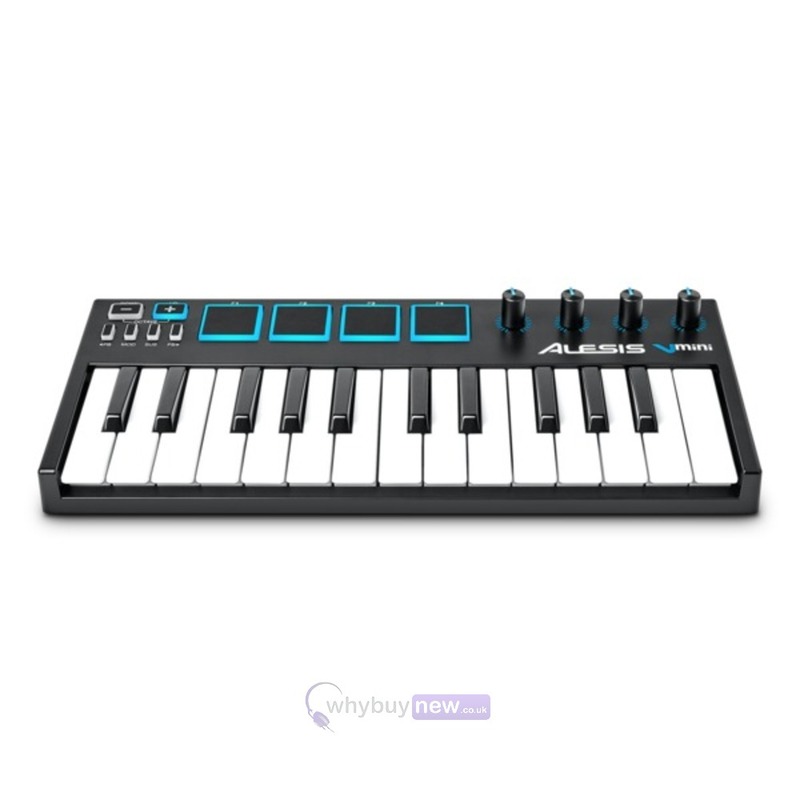 The Aleses V-Mini is a compact USB powered MIDI keyboard controller that can be taken anywhere meaning you can create wherever you are. Alesis know that space can be at a premium in home studios and the compact design of the V-Mini means it will fir almost anywhere. It is also loaded with excellent controls and features that perfect for writing and producing tracks on the go or at home. The V Mini is a serious piece of creative gear for the modern musician. 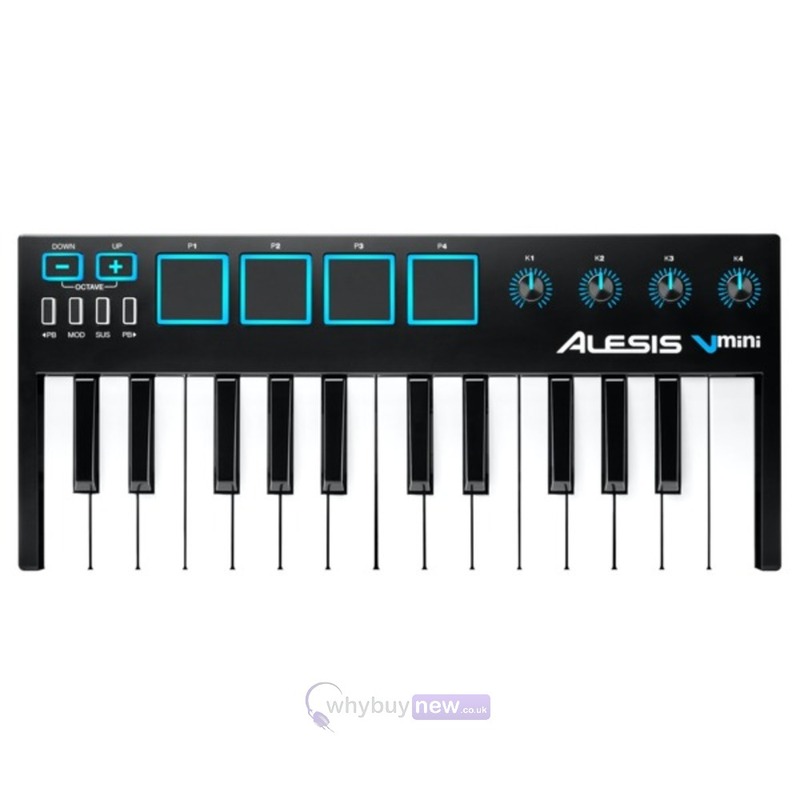 The Alesis V Mini enables musicians to take full command of their music software and gives them the freedom to create, produce and perform whenever and wherever inspiration strikes. The V Mini features 25 velocity-sensitive mini keys with octave controls that expand the keyboard to the full melodic range for playing bass lines, chords and/or melodies. 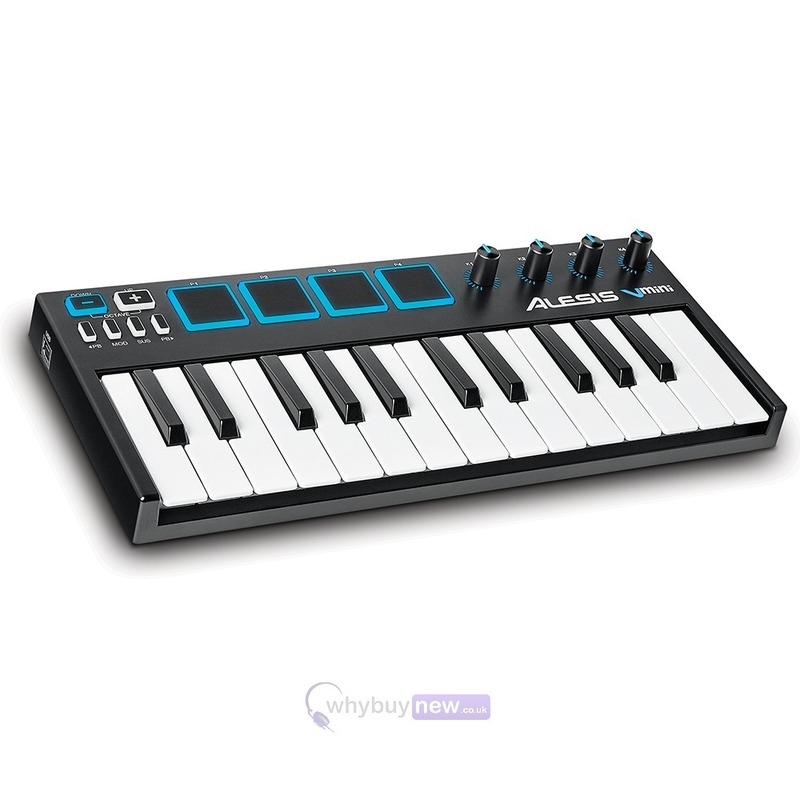 It also has editable pitch-bend, modulation and sustain buttons for added expression; four assignable knobs for manipulating effect plugins and virtual instruments; and four velocity-sensitive backlit pads for clip launching and finger drumming. 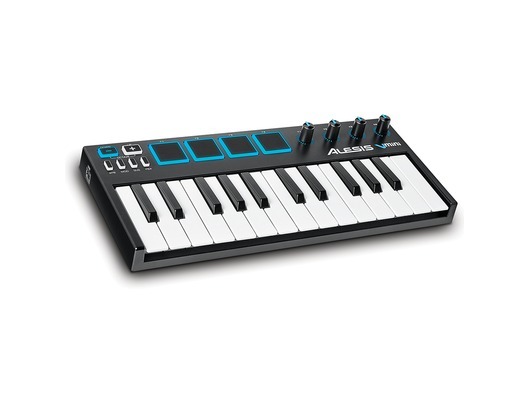 To cap off the playing experience, Alesis has included Xpand!2 by AIR Music Tech, a powerful and intuitive multitimbral virtual workstation instrument that has over 3000 fully-editable presets covering every musical style. Most importantly, the V Mini connects to any computer with just a single USB connection to power up and send/receive MIDI data, making it the perfect creation and production tool for musicians on-the-go. Here we have the Alesis V-Mini in brand new condition and in B-Stock. The B-Stock versions would have been on display at a training evening or trade exhibition only and will come boxed 'as new' with all accessories and a 1-year warranty. This is a great little keyboard with surprisingly expressive action. However, the 'included' Air Xpand2! software does not work. This is irritating as I cannot use the v-mini to it's fullest.